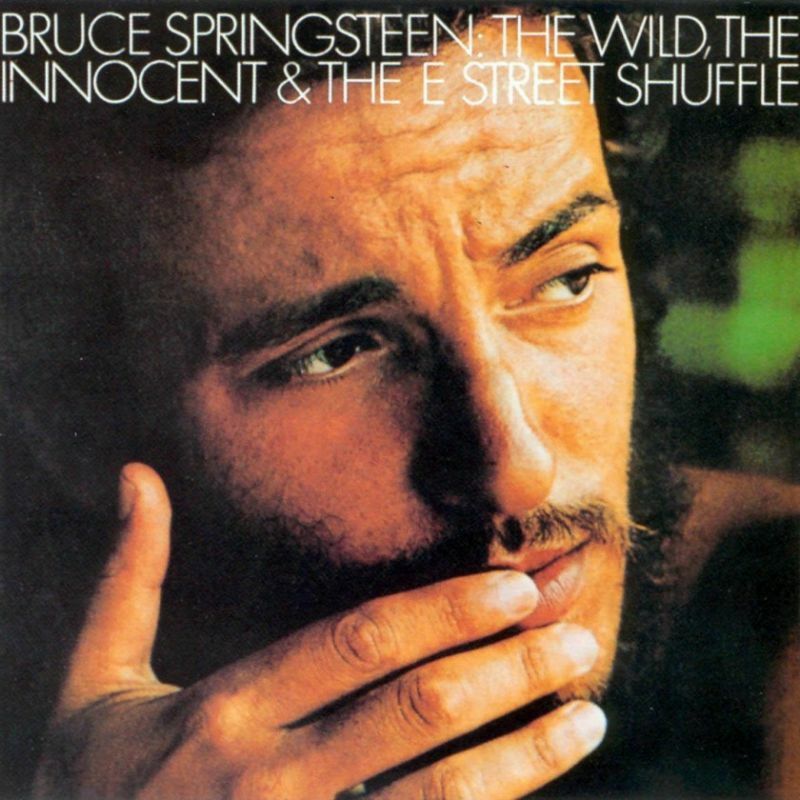 The Wild, the Innocent & the E Street Shuffle is the second album by Bruce Springsteen and the as-yet-unnamed E Street Band. 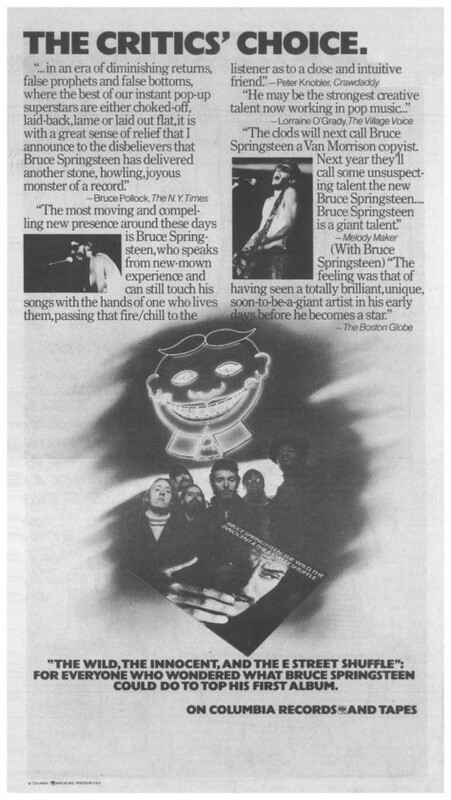 As with Springsteen’s first album, it was well-received critically but had little commercial success at the time. 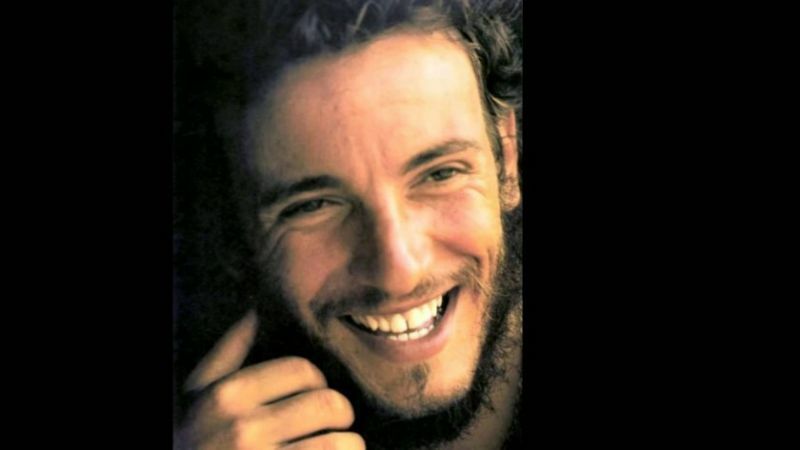 However, once Springsteen achieved popularity with Born to Run, several selections from this album became popular FM radio airplay and concert favorites. In 2003, the album was ranked number 132 on Rolling Stone magazine’s list of the 500 greatest albums of all time. On November 7, 2009, Springsteen and the E Street Band played the album in its entirety for the first time ever in a concert at Madison Square Garden. I came late to this album, and I knew many live versions of the songs before I heard the record. At first I was a bit disappointed but “The Wild…” just keeps getting better. Today it is one of my favorite Bruce Springsteen releases. It is an album of hope and possibilities, songs like Sandy and Rosalita are forerunners to his next album, Born to Run. Springsteen describes the joy and danger of youth, the hopes that awaits them on a Saturday night. It is like a play or a film in which “the characters” live their last night together. It is safe to say that this is one of his most cinematic records. And also, it is a perfect “end of the summer” record (for me).